The end-to-end IT enabled business processes and the increasingly imperative that information infrastructures and mobile access to data and information are constantly available to businesses, criminal acts and cases of non-compliance pose an ever greater threat. Using a wide range of sophisticated technology tools, the Global KPMG Forensic network helps organizations address the risks and costs involved with evidence and discovery management as well as the acquisition, management, and analysis of large data sets. Our professionals work alongside clients to handle information from its creation to its preservation, collection, analysis, and presentation in discovery. Computer crime investigations are conducted in a protected laboratory, located in Athens, where data is identified and recovered and electronic event sequences are reconstructed. Our forensic lab is equipped with the latest tools and technology required for Digital Forensic and Incident Response. Our lab provide technology, processing capability, and professional support to help clients reduce the costs (in capital, time, and resources) associated with investigations, compliance and litigation. We have a dedicated forensic technology practice that is enhanced by KPMG's experience in forensic accounting and investigation to unearth the modus operandi behind cyber crime, fraud and other misconduct. 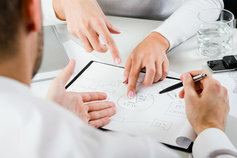 Drawing on other member firms wealth of experience in helping clients to respond to information requests by identifying, processing and disclosing data held within their information systems, we can design proactive processes and procedures that can help clients to respond effectively to requests for information, so that it meets the standards for evidence in disciplinary, regulatory or legal proceedings. KPMG can respond rapidly and conduct a cyber investigation on your behalf. 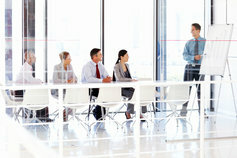 Working closely with parties you designate, including outside counsel, internal staff, audit and special committees, or management, we can assist with independent and internal investigations on issues ranging from poor security policies and procedures, system misconfigurations, malicious actions of a “trusted insider,” or external network intrusion attacks. In any of these circumstances, we focus on discovering what happened and what actions, if any, should be taken. We help our clients to react and remediate in a wide variety of circumstances where data and documentation may need to be collected, processed and reviewed. 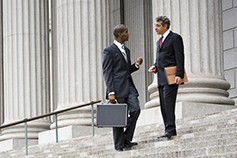 KPMG member firms are some of the leading global providers of e-discovery services, able to offer all of the services described in the Evidence and Discovery Reference Model (www.edrm.net) to support our clients and their counselors. Our internal developed specialized tool (KDAT) can be used to make a series of comparisons, summaries, and aggregations to detect financial anomalies that can indicate unusual activity, fraud, or other misconduct. The tool includes the use of many rules-based and behavior based algorithms. 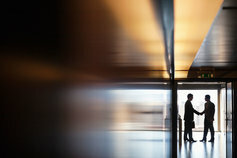 KPMG's data analytics services comprise a variety of offerings that assist clients in reducing reputation risks, pursuing criminal or civil investigations, managing disputes and/or contractual obligations, waste reduction, and detecting fraud. Forensic data analytics involve the examination of organizational electronically stored information to identify patterns that match known fraud profiles. In addition to industry standard data analysis applications, we have developed specialized tools to enable the review of large scale data sets using logical and/or numerical and statistical patterns.